30 Before 30 - Attend a Fashion Show | La Petite Noob | A Toronto-Based Fashion and Lifestyle Blog. While I'm literally weeks away from turning 30, I managed to check off another task from my 30 Before 30 list - right in the home stretch. Last night I attended my very first real fashion show, and have officially had my first taste of Fashion Week here in Toronto. 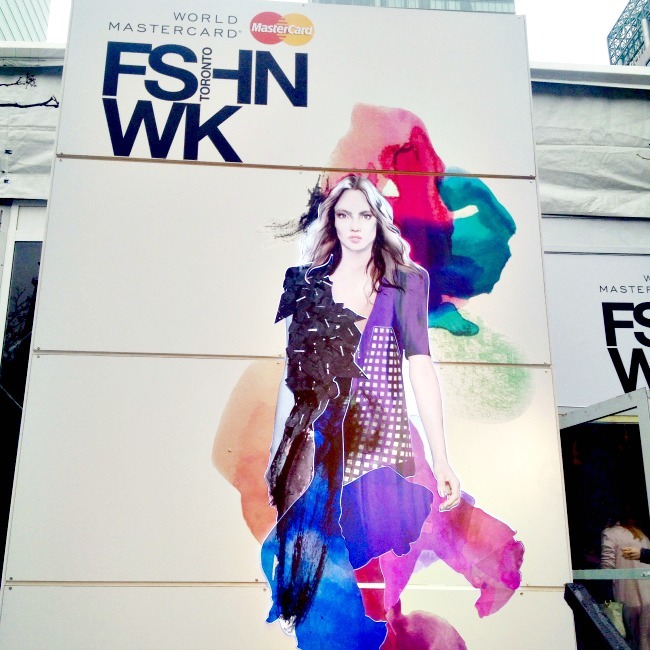 The last time fashion week had rolled around in the city, I was just coming home from my trip to Italy. This time around, although I'm up to my ears with our move into downtown Toronto, I decided to make it a priority and take the night off to join in on the festivities. I had the pleasure of attending the Malorie Urbanovitch show, and the experience surely didn't disappoint! The weather was less than ideal for a glamorous night out, much less for photo taking - think grey skies, rain and a chilly breeze. I've rummaged through an old #ootd photo to give you an idea of what I wore. A natural rule-follower at heart, I always like to sit back and observe a new situation so that I can get acquainted with the order of things. So while the Toronto fashion community was strutting around in their loudest outfits and perfecting their power-stances for photographers, I was happy to be dressed in solid black and take it all in with my mom. The show itself was incredible! 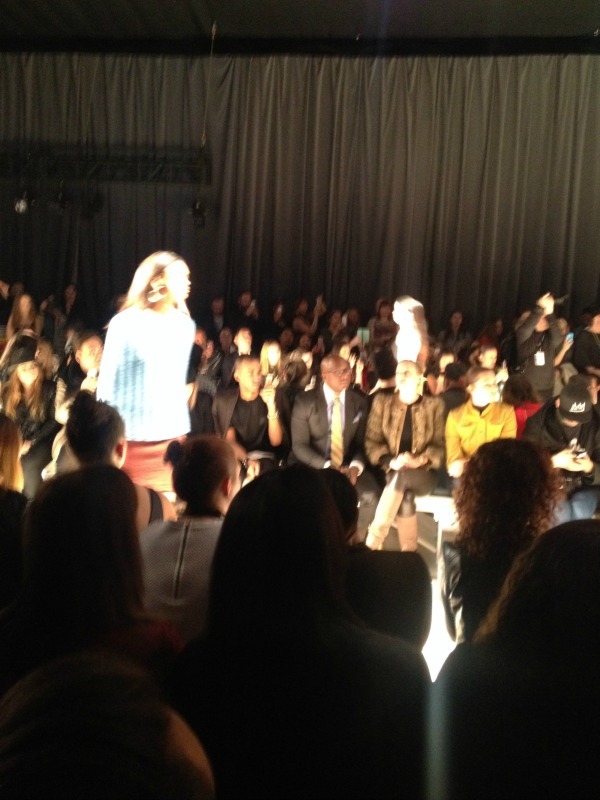 I loved the energy as everyone filled into the runway room, it was organized chaos at its finest. Once the lights went down and the music started to crescendo its way across the runway you could feel the anticipation of the audience. As soon as the first model came out and started strutting her stuff in a 70's inspired Fall pallet, I knew that I was hooked. One of the best things about the whole night (other than the post-show apps and cocktails at Los Colibris with my mom) was being able to meet and see bloggers that I admire - in real life. Needless to say that after I've gotten this first taste of a fashion show, and of Fashion Week itself, I'm anxiously awaiting my next! I'm so happy that I had this opportunity, and was able to sneak in another task from my 30 Before 30 list. Have you been to a fashion show? 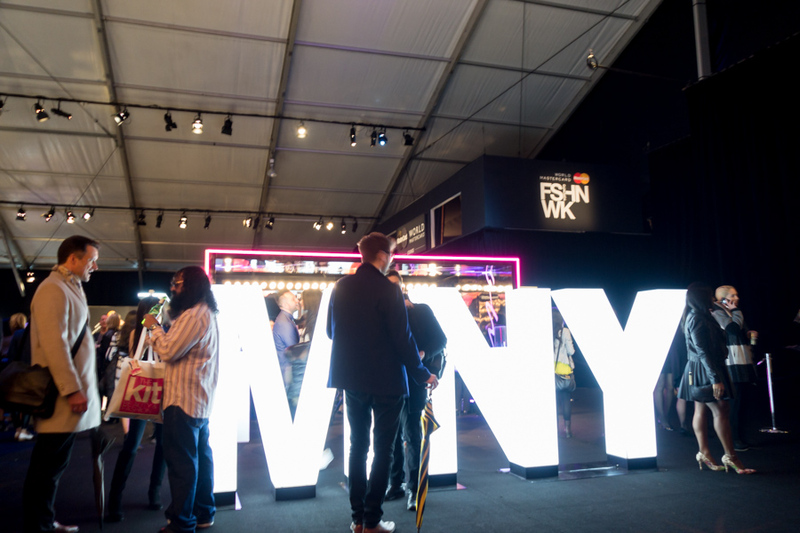 Do you have any Fashion Week survival tips? Let a Noob like me know! We're definitely going to the next round together!! Looks like you had so much fun!